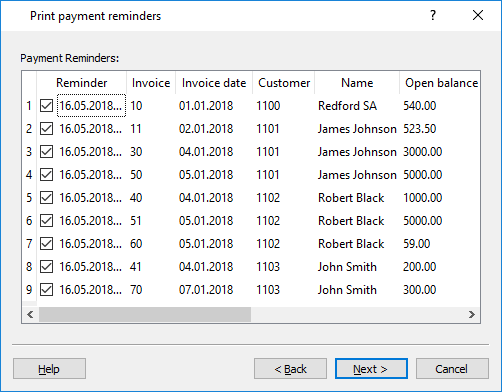 In addition to the printouts, the program directly creates the transactions in the Transactions table, which are used to recreate the issued reminders history. These transactions show the document date and the document Type: 16-1 first reminder, 16-2 second reminder and 16-3 third reminder. 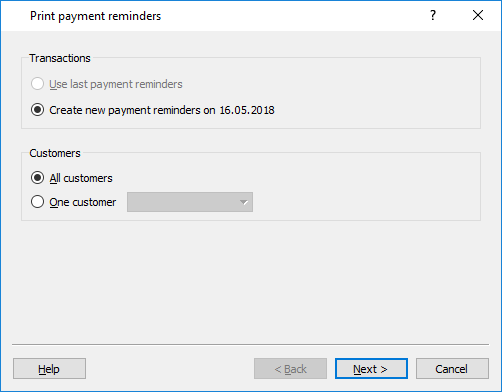 If in the Transactions table there are reminder transactions with the indicated date, the program will suggest to print these reminders. 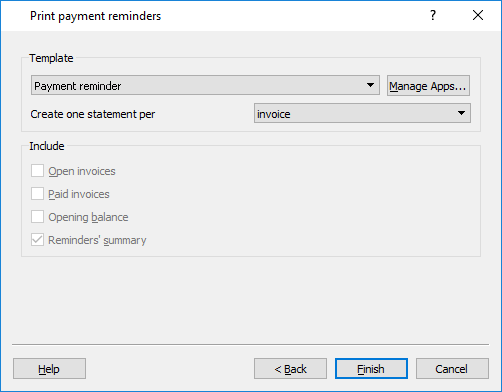 For all expired invoices new reminder transactions are created, that can be then printed. The program will show the expired invoices, which you can deactivate if you do not wish to send the reminder. The styles allow you to change the print layout. Use this button in order to update the templates with the most recent ones or to add you own templates. Use this button in order to setup the selected style parameters.